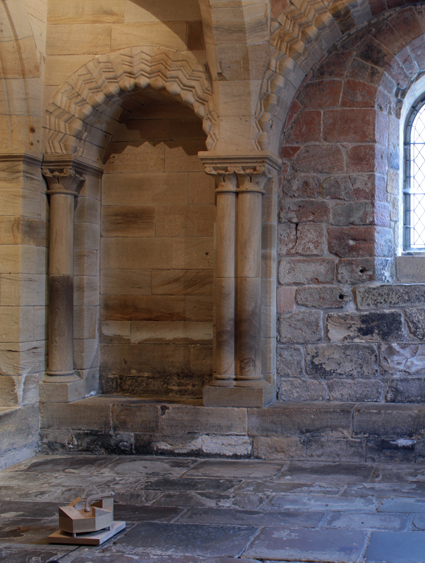 Phase, 2014, is an exhibition by sound artist, Sam Grant, and visual artist, Rosie Morris, responding collaboratively to three spaces within the historic centre of Newcastle, the Castle Keep. The work unfolds in three parts, starting within the bowels of the Keep - the Chapel, before moving into the heart of the building - the Great Hall, culminating outdoors - on the Keep’s roof, overlooking the surrounding City. The installations use sound, colour, sculpture, and video, encouraging a new and personal encounter with the Keep’s architectural movements and its relationship to the City. This box set, from Rosie Morris & Sam Grant, is both an archival piece and an artwork in itself to mark the exhibition Phase, shown at the Castle Keep, Newcastle upon Tyne, throughout May 2014. 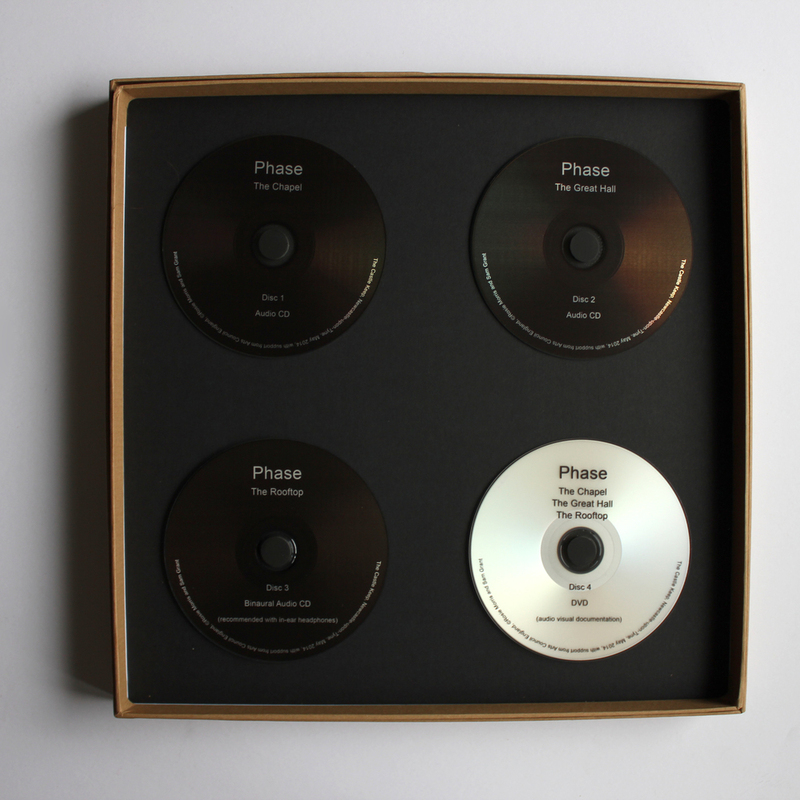 The box contains 3 audio CDs and a DVD with video documentation of the site specific work, alongside 4 limited edition prints (North, East, South & West, 32 x 32cm on 350gsm smooth white paper). The box is released in an edition of 30 and is available for £35. For more information please contact me.